The color on this special edition Nissan GT-R, was until now, only used on the SpecV Nissan GT-R. Only 100 units worldwide will be produced, with half of them coming to the US. Price for the 2014 Midnight Opal (LAC) GT-R will come in at $105,590, a $6000 premium over a normal Premium model. In addition to the color, the wheels have a unique finish, and the car gets a carbon fiber rear wing. Sales of the Midnight Opal begin in September. Who's buying one? More Nissan Skyline GT-R and Nissan GT-R color codes. See the full release after the break. NASHVILLE, Tenn. – Following today's global announcement of a new limited production 2014 Nissan GT-R Special Edition package with a hand-painted "Midnight Opal" exterior, Nissan North America, Inc. (NNA) today announced United States pricing for the car of $105,590 USD, a $6,000 USD increase over the GT-R Premium model M.S.R.P. * Half of the 100 total units available worldwide will be available in the U.S. 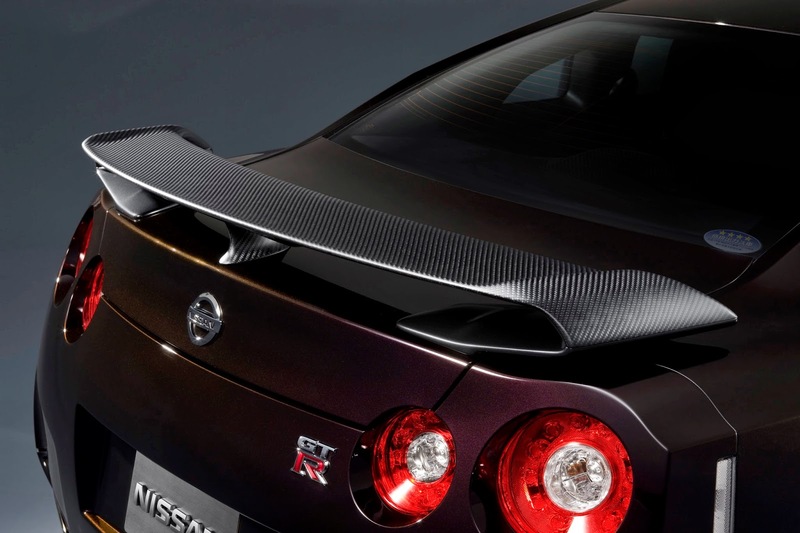 Sales are scheduled to begin in September through certified U.S. Nissan GT-R dealers. 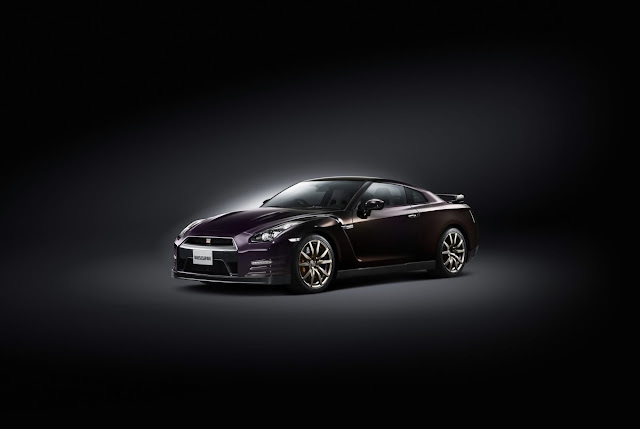 Highlighting the 2014 Nissan GT-R Special Edition package's unique features is the new Midnight Opal exterior paint, with each coat applied by hand. The highly reflective paint treatment changes appearance slightly from a deep purple to a deep blue depending on light conditions and viewing angle. 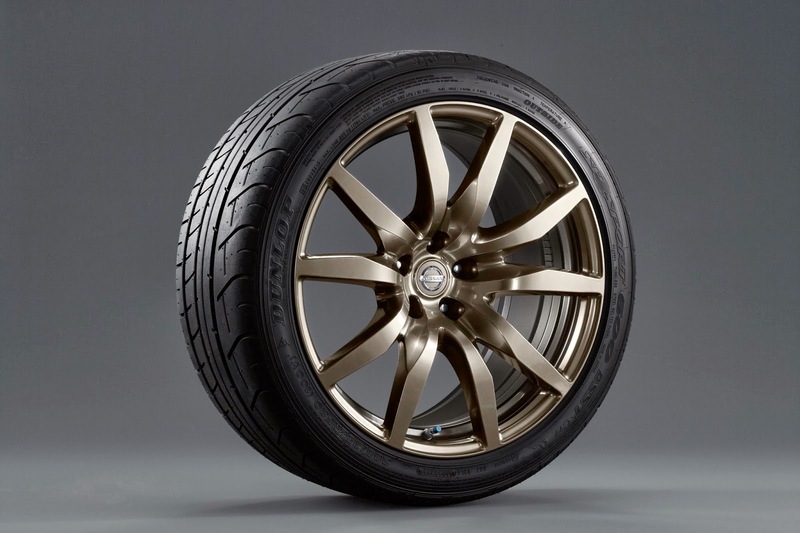 In addition to the custom paint, GT-R Special Editions also feature a never before offered in the U.S. hyper-titanium colored coating on the RAYS® forged lightweight wheels, a dry carbon fiber rear spoiler** similar to that utilized on the GT-R Black and GT-R Track Editions, and a gold-plated serialized plaque of authenticity located in the engine compartment. Based on the GT-R Premium model, the new GT-R Special Edition comes with Nissan's advanced VR38DETT 3.8-liter twin turbo V6 rated at 545 hp and 463 lb-ft of torque (hand assembled in a special clean room) and exclusive Premium Midship platform that enables the use of the dynamic independent rear transaxle ATTESA E-TS all-wheel drive system. Total vehicle adjustability is provided by set-up switches located in the center of the instrument panel, enabling the driver to adjust transmission, shock absorbers and the Vehicle Dynamic Control (VDC-R) among three settings – Normal, Special or R.
The interior features sculpted performance bucket seats and a cockpit-style instrument panel with a large center-mounted tachometer and multi-function display – which includes mechanical and driving information, as well as an on-board driving recorder. A specially designed 11-speaker Bose® sound system with speakers mounted in rigid aluminum die cast panels is standard. The 2014 Nissan GT-R is also available in GT-R Premium, GT-R Black Edition and limited production 2-seat GT-R Track Edition***. For more information on the 2014 Nissan GT-R lineup, please see NissanNews.com. In North America, Nissan's operations include automotive styling, engineering, consumer and corporate financing, sales and marketing, distribution and manufacturing. Nissan is dedicated to improving the environment under the Nissan Green Program and has been recognized as an ENERGY STAR® Partner of the Year in 2010, 2011, and 2012 by the U.S Environmental Protection Agency. More information on Nissan in North America and the complete line of Nissan and Infiniti vehicles can be found online at www.NissanUSA.com and www.InfinitiUSA.com, or visit the Americas media sites NissanNews.com and InfinitiNews.com. Nissan Motor Co., Ltd., Japan's second-largest automotive company, is headquartered in Yokohama, Japan, and is part of the Renault-Nissan Alliance. Operating with more than 248,000 employees globally, Nissan provided customers with more than 4.9 million vehicles in 2012, generating revenue of 9.4 trillion yen ($US118.95 billion) in fiscal 2011. With a strong commitment to developing exciting and innovative products for all, Nissan delivers a comprehensive range of 64 models under the Nissan and Infiniti brands. A pioneer in zero-emission mobility, Nissan made history with the introduction of the Nissan LEAF, the first affordable, mass-market, pure-electric vehicle and winner of numerous international accolades, including the prestigious 2011-2012 Car of the Year Japan and 2011 World Car of the Year awards.